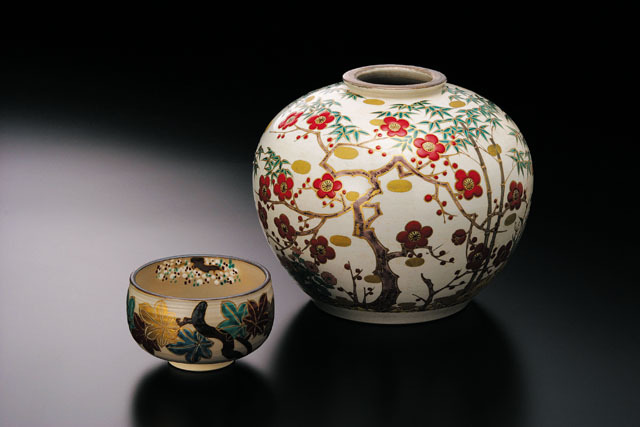 OSAWA Kyujiro china workshop has a reputation as a creator of china with elegant and soft atmosphere. Original pine bark shaped china is the specialty of this workshop, beloved for tea ceremony items and as gifts. OZEKI Sakujuro china workshop keeps the traditional style of INUYAMA china, which has been inherited for 300 years. Hand made, hand painted, traditional, and the endless pursuit of better quality – these are the characteristics of this workshop. 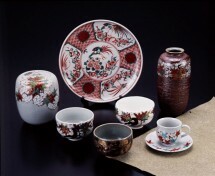 INUYAMA china’s history started 300 years ago, around the present IMAI area, and its characteristics can be seen in the design of flowers, autumn leaves and red based colorings. 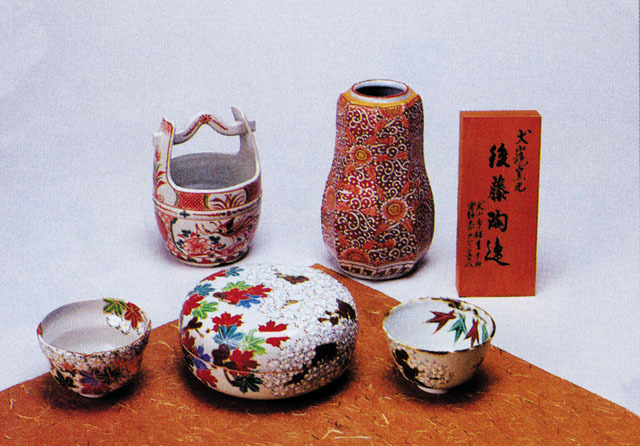 In addition to these, combination of cherry blossom and autumn leaves is a distinctive design of the owner of INUYAMA castle, and can be seen only with INUYAMA china.